As the largest member of the Mini family, the 2018 Cooper Countryman combines the brilliant driving dynamics of its smaller companions with a roomy and versatile interior. Befitting its off-road image, the Countryman also has more ground clearance than the other Mini models. A new plug-in hybrid joins the lineup this year, as does a John Cooper Works package. 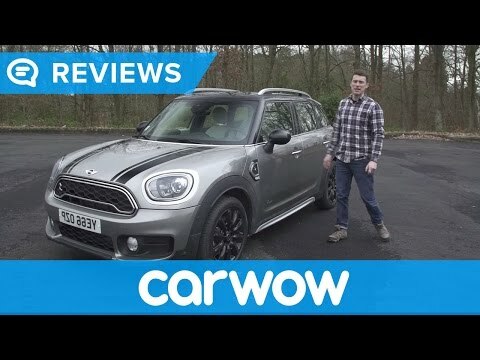 The Mini Countryman is made by BMW. Most people do not know this fact. My Mini Countryman is the best car I have ever had. It drives like a dream, so smooth! I love the features it has, like the sunroof. It is the perfect size to get enough wind and sun. It doesn't blow your hair everywhere. It is so easy to maneuver. Feels like you are gliding down the street. Could be used as an advertisement we carry so much in it for long trips. Much larger than expected. Very smooth. Stop feature at red lights. Good gas mileage. Comfortable seats that tilt in all directions. I also like that the back hatch opens be simply waving your foot and that you can drive without the key in ignition. Well worth the price.